Do you have crooked, twisted teeth or gaps between the teeth? This can make many people feel self-conscious or even ashamed of their appearance and they find they often cover their mouth with their hand and rarely smile? There are various ways to treat crooked teeth but most take at least 18 months and can be up to 3 years with conventional orthodontic treatment or clear braces. However the latest in orthodontics – 6 Month Smiles can give you the smile that you want in a fraction of the time taken with conventional treatments. 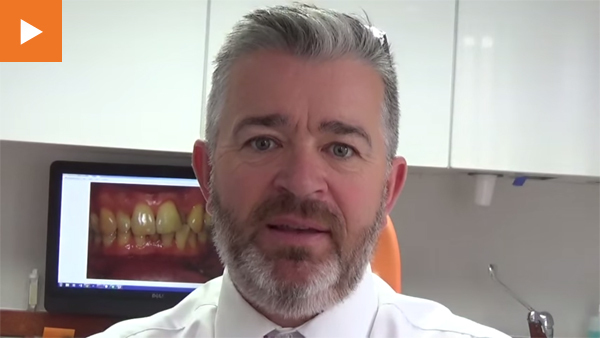 Why choose 6 Month Smiles? The biggest advantage is the short treatment time. If you’re looking to improve your confidence through changing your smile, 6 month smiles can help deliver your smile goals in a short time frame. In contrast to traditional braces, 6 Month Smile braces are made of clear brackets and white wires which are far for more discreet. Although they are not completely invisible like some other types of brace, they are much less obvious than conventional braces. It’s very comfortable because there is a low, but continuous force, which means shorter treatment times. Shorter treatment times means you can save money compared to systems that take longer time or require more sets of removable braces. Very happy with my ‘4 month’ braces that corrected my two front teeth which we’re moving inwards. Danny was extremely patient with me, reassuring and informative. It’s taken me 10 years of being in this country to find the right dentist and I would not hesitate in recommending Danny’s expertise. Thank you Danny & Susie.